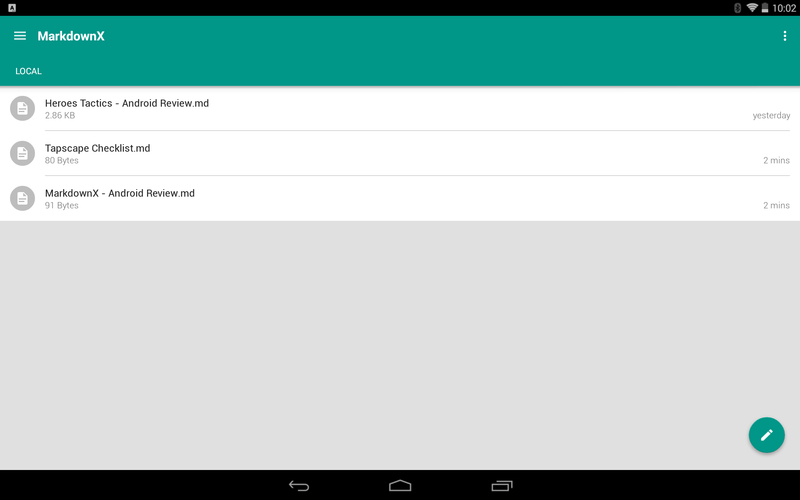 MarkdownX is a simple, yet powerful, markdown editor for Android with live preview. There are no special buttons to click for lists or even bold. Everything is handled through text. To some this may be a problem, especially those new to markdown, but MarkdownX contains an easy to read markdown reference guide. Autosave. Live preview. Dual pane preview on large devices. How can we go wrong? Well, there’s always a way. Dropbox support. Great feature for those who live in dropbox, but those who want the best of both worlds get a bit screwed. There is no method of transferring local files to Dropbox and back. Who cares? Just stay in Drobox! Well… It’s for Android. Sure, most people will have Internet connectivity available, but maybe someone wants to go write an article at the park, go home and backup to Dropbox. And maybe, just maybe, that person is using a wi-fi tablet with a keyboard. Whatever, Dropbox doesn’t matter to me. What else is wrong with it? Two things. First the crash bugs. 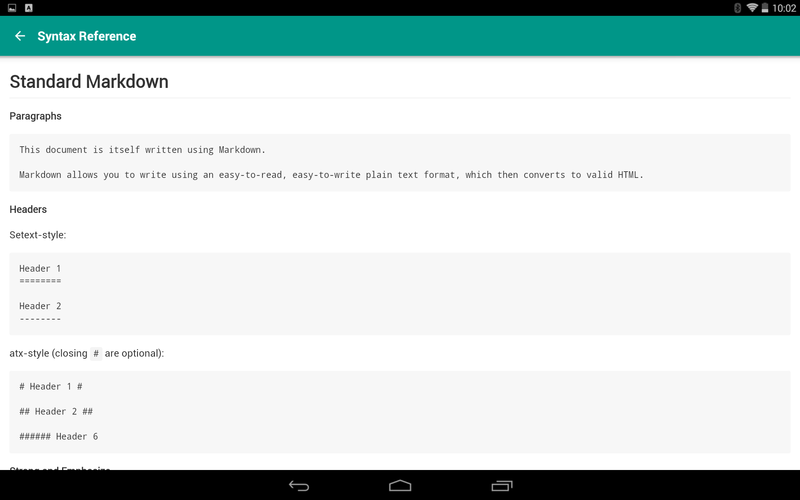 Whenever a keyboard is plugged in or removed from the tablet, MarkdownX crashes. It also sometimes crashes when switching among applications. This reviewer has not lost any data due to these bugs so far, but they are obnoxious. The other has to do with sharing. Look at all those options! They are beautiful and all work except one. Perhaps the most important one to anyone who uses WordPress. “Share as HTML” doesn’t work. The interface should be clear from the previous screen shots. It’s a simple text editor that uses Google’s material design and looks great from the minimalist point of view. One thing that might not be so obvious is the lack of ads. MarkdownX is ad-supported, but ads can be toggled on/off in the settings menu. Default off. Awesome. 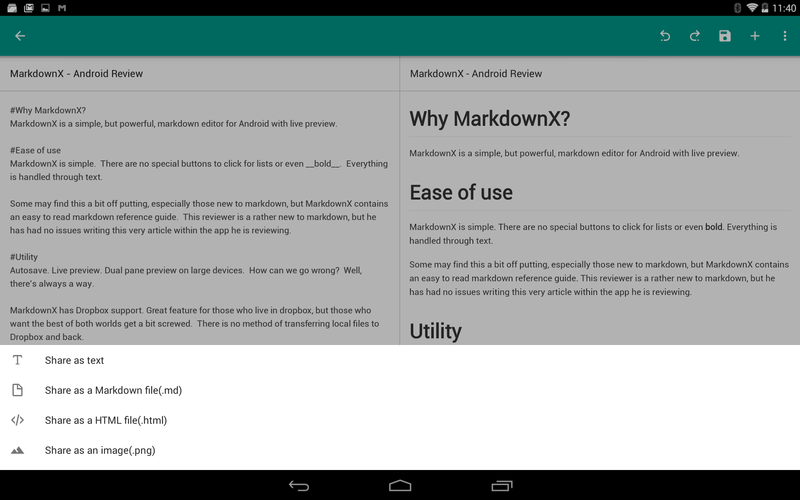 Aside from a few bugs, MarkdownX is an amazing editor for Android. Especially for those who have a tablet with a keyboard. This entire article, with the exception of some final touches, was written in MarkdownX. 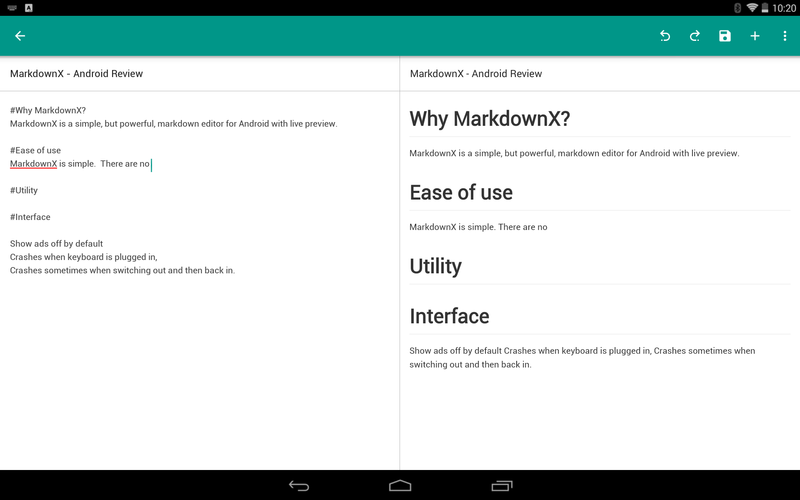 MarkdownX can be found on the play store. Reviewed on Chuwi Hi8 Android 4.4.4.